Oh my, Mr. Downey Jr. What big eyes you have. The artwork comes from the cover of #Special Tony to Mutta, a new one-shot crossover printed in Japanese women’s magazine FRaU by acclaimed Manga artist Chūya Koyama. The short, part of a feature in the magazine about why Japanese adults are into Disney, is a collaboration between Marvel and Koyama’s seminal manga Space Brothers, which follows two brothers—Mutta and Hibito—on their quest to become to become astronauts in the Japanese space program, JAXA. The story sees one of the brothers, Mutta, coming across Tony Stark on the moon—and being understandably confused as to what the hell Iron Man is doing up there. 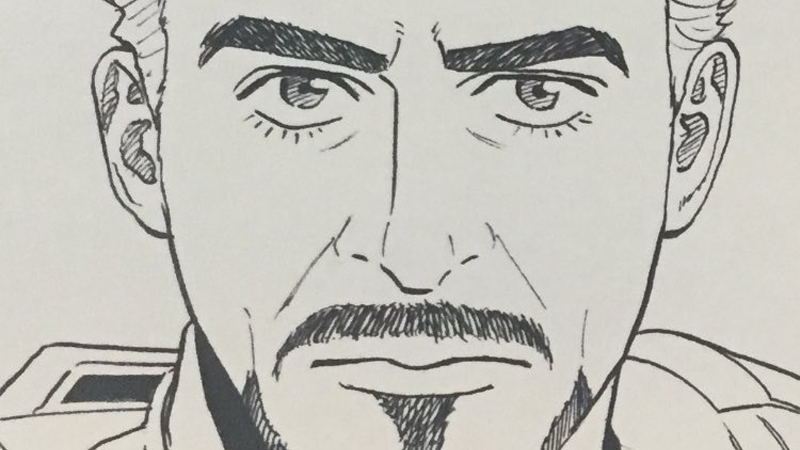 Tony’s no stranger to Japanese crossovers—he’s appeared in his own anime, on Japan-only kids shows like Marvel’s Disk Wars: The Avengers, and of course, the Attack on Titan/Marvel crossover a few years ago. Just showing up in Space Brothers is actually a bit restrained for what he usually gets up to in these transcontinental shenanigans.